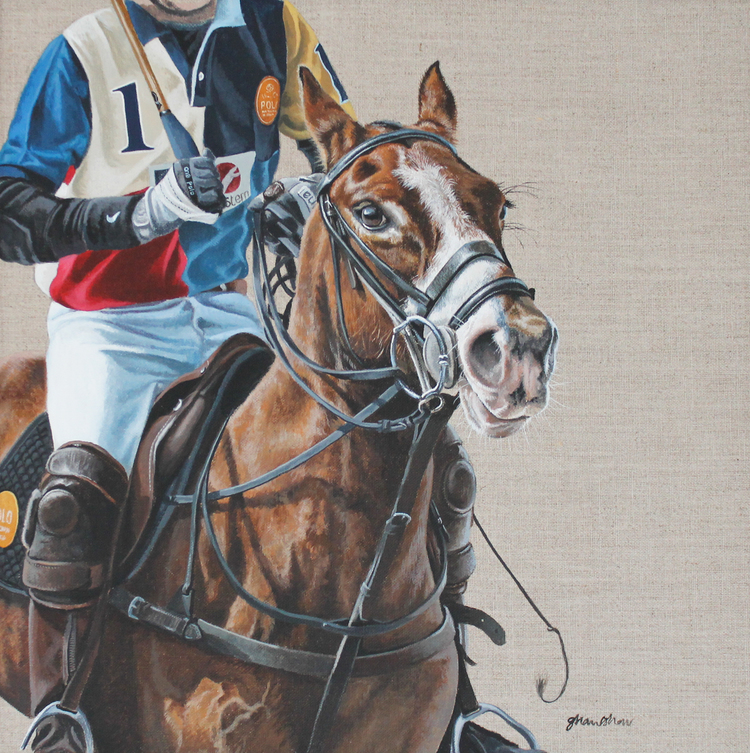 Gina Hawkshaw is an emerging British artist that has owned and ridden horses for the majority of her life. When Gina's passion for painting led her to begin a career in the arts, it seemed natural for Gina's love of horses to become her creative inspiration and focal subject. Gina's artworks have been exhibited across the United Kingdom, including twice at the notable Mall Galleries in London. Admirers and collectors are often left in awe at the majesty in which Gina captures the individual characters of the horses – from the facial expressions through to the detailed veins throughout the body.